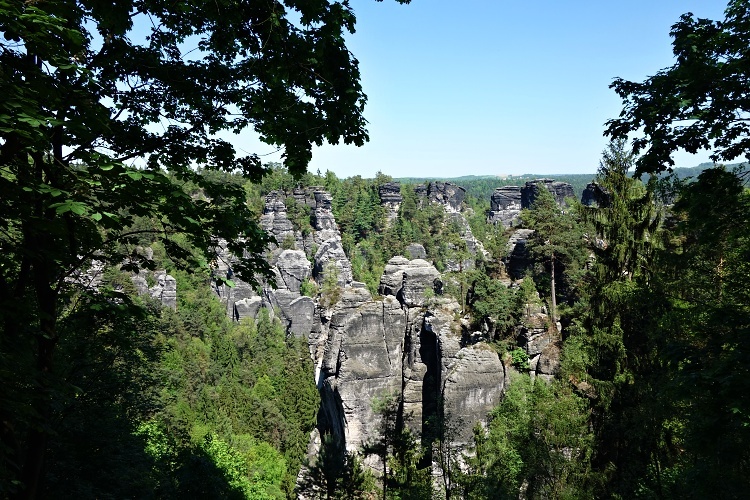 Yep, Saxon Switzerland National Park Really Is in Germany! You may not have heard about Saxon Switzerland (Sächsische Schweiz in German), but it’s a beautiful national park in the east of Germany. 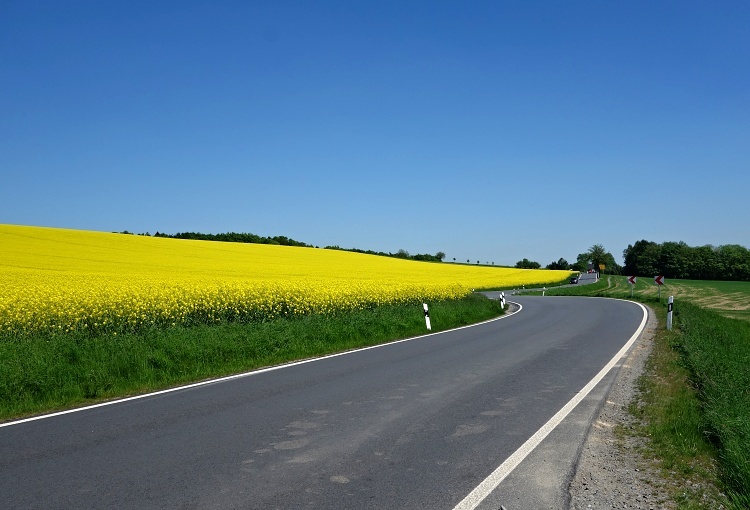 We were craving the ‘Great Outdoors’ so we decided to explore this part of Germany on a day trip. Saxon Switzerland is located on the German side of the state border with the Czech Republic but the National Park stretches across the border – the Czech part is called Bohemian Switzerland and together they form the Elbe Sandstone Mountains. Both areas are great destinations for outdoor lovers as the hilly landscape and rocky formations make them perfect for hiking and climbing. It’s the only rock national park in Germany and there are over 700 climbing peaks. We travelled from Prague but the National Park isn’t far from many other places in the Czech Republic, Germany or Poland because it’s located so close to the borders between these three countries. Saxon Switzerland isn’t well known among travellers from abroad but is definitely worth exploring if you are in the area. Let’s explain what’s in it for you! You might, of course, be thinking – what an unusual name! Why is the region called Switzerland when it’s located in Germany? The answer is that two Swiss artists who worked in the area in the 18th century started calling it Saxon Switzerland because the landscape reminded them of their homeland and the name has stuck till today. Get ready for some beautiful scenery! Saxon Switzerland is located along the Elbe River (Labe in Czech), which is one of the main rivers in Central Europe, near Dresden in Saxony. The National Park is easily reachable by car or public transport. The drive time of less than 90 minutes from major cities and airports in the area makes it a great destination for one-day trips. Saxon Switzerland is located about 66 km (41 miles) from Dresden Airport, 133 km (83 miles) from Prague Airport, and 168 km (105 miles) from Leipzig/Halle Airport. There are many interesting sights in the area but we chose to visit only the Bastei and the Kuhstall so that we could take our time to explore these places and didn’t have to rush. The Bastei is well known for its magnificent bridge that links a few rock formations and the Kuhstall is an impressive natural arch. If you can spend only one day in the area, renting a car is the best idea because it takes much longer to get from one place to another by public transportation and you can’t be very flexible with your plans. The Bastei is the main landmark of Saxon Switzerland. 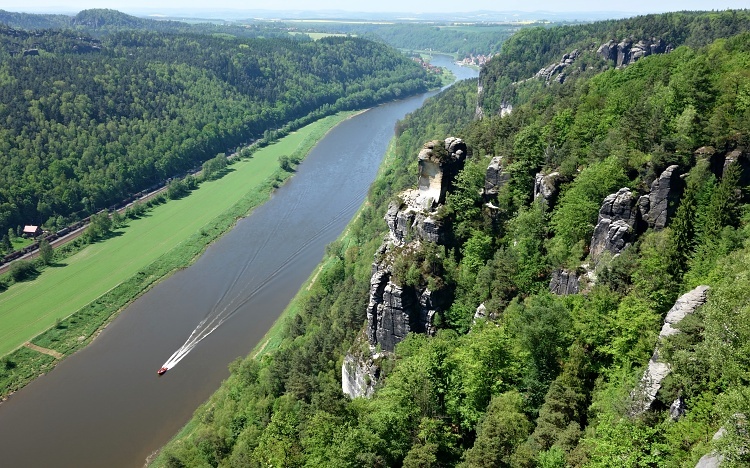 It’s located close to the town of Rathen, 194 metres (637 feet) above the Elbe River. If you decide to travel by train, the nearest station is Kurort Rather, which lies just across the Elbe River, with good connections to Pirna, Dresden and even Prague (including one change in Bad Schandau). 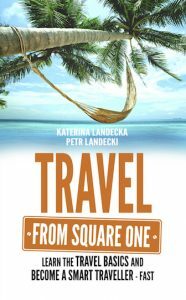 You can also travel by bus from Pirna. Visitors can use two car parks located near the site and take a short walk from there. 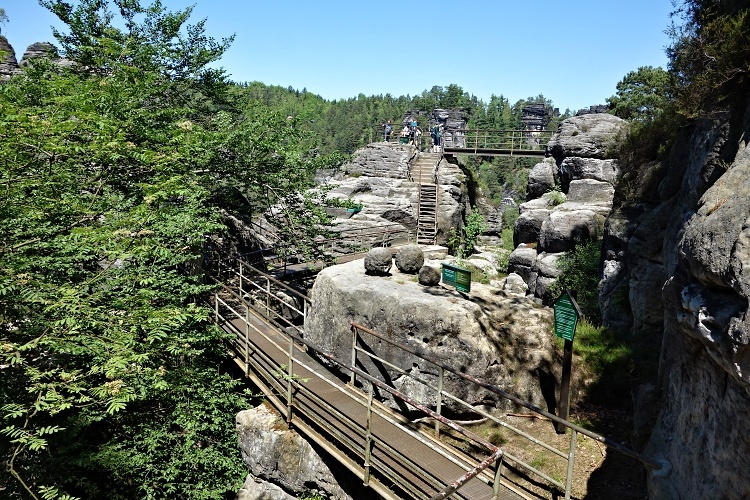 The Bastei is the most popular attraction of Saxon Switzerland so it can get busy, especially during summer weekends. 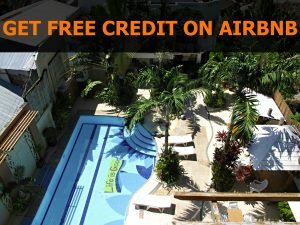 There are some facilities for visitors such as a hotel, restaurants, shops and toilets. Make sure that you have enough memory on your camera or mobile phone because the area is very scenic and you can expect to see many spectacular views. Wehlsteinaussicht is the vista that is closest to the car park or bus stop – you will find it hidden in the forest on your left-hand side. Here you can admire beautiful views of the valley with its sandstone rock formations. Basteiaussicht is the next lookout that is located behind the restaurant. This point is always crowded because the views of the Elbe River and the Rathen town are spectacular here. 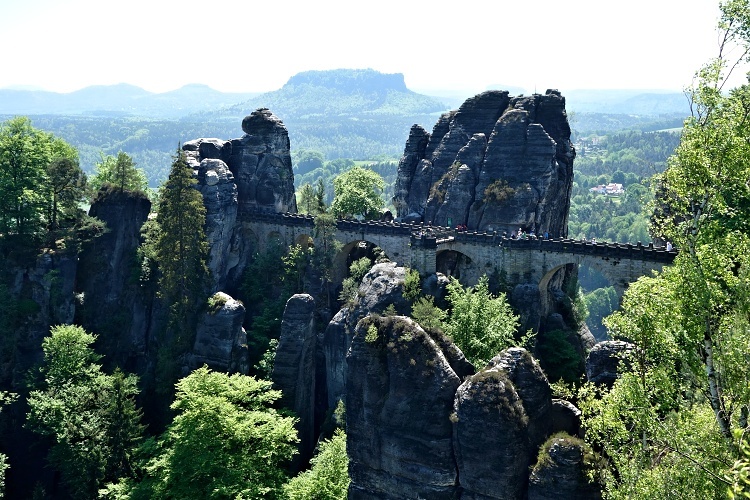 The Ferdinandstein lookout is located a little off the main track but here you will get amazing views of the Bastei Bridge, rocks in the upper Wehlgrund Valley, and Rathen Open Air Theatre. Now you can come back and explore the Bastei Bridge (Basteibrucke in German). It might get crowded but the bridge itself and the views of the surrounding rocks, forests, and the Elbe River are stunning. The path will lead you to the ruins of Neurathen Castle. You can access the ruins after paying a small admission fee at the entrance. It’s fascinating to follow the trail, walk through the ruins and imagine how the castle might have looked like. It’s hard to believe that there used to be a settlement situated on these rocks. There is a small model of the original castle on display near the exit so that you can see what it was really like. The Kuhstall, which is a huge natural arch, is another major attraction of Saxon Switzerland. The nearest town is Bad Schandau and the starting point of the trail is the Lichtenhain Waterfall (Lichtenhainer Wasserfall in German). 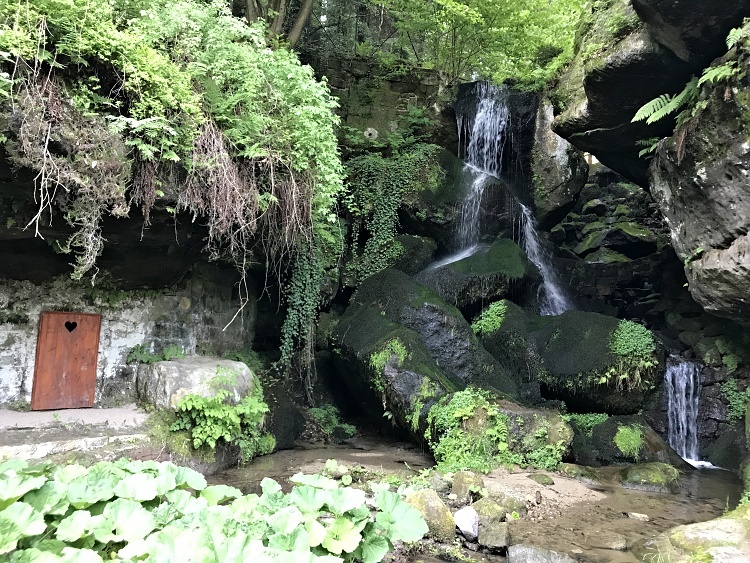 You can either get to Bad Schandau by train and take the historical Kirnitzschtal Tramway (also known as the Kirnitzschtalbahn) from there or drive up to the Lichtenhain Waterfall. Be careful and drive slowly because the tram track is only on the right side of the road (it’s a single track line), so you might be surprised by an oncoming tram any time, especially behind turns. It’s about a 30-minute drive from the Bastei but it may take you up to two hours by public transport. If you are driving but don’t want to miss the tram ride, you can also park your car at the first stop of the Kirnitzschtalbahn in Bad Schandau (the name of the station is Bad Schandau Kurpark) and then take the tram up to the waterfall. The car park at the beginning of the trail is located behind the last tram station – make sure that you have euro coins for the parking machine because credit cards aren’t accepted. If you don’t have any (as happened to us), walk back a little bit and ask for change in one of the restaurants or shops. Traverse the little bridge across the stream right of the car park and follow the path uphill. It’s a very pleasant and not very steep hike and it should take you about 40 minutes to get to the Kuhstall. There is a small chalet on the top of the hill where you can grab something to eat or drink. Walk underneath the Kuhstall arch, which is 11 metres (36 feet) high, to get to the edge of the rock and enjoy the beautiful panoramic view of the surrounding forests. If you have time you can explore the area further. 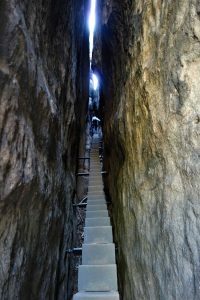 Climb the steep ladder in the narrow rock crevice called the Himmelsleiter to get to the top of the Kuhstall for more great views. There are a few trails on the top of the Kuhstall that will get you to various hidden spots and caves. You might need to do a bit of climbing to get there but it’s not physically demanding. It will take you about 30 minutes to walk back to the car park. Once you are back down, don’t forget to check out the cute Lichtenhainer Waterfall before you leave. You can have something to eat or drink in the restaurant next to the falls – after all the walking you deserve a break! 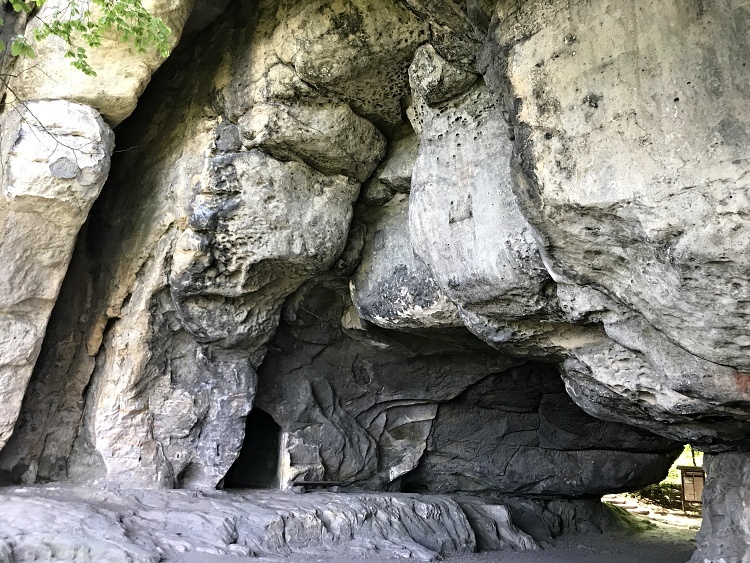 We only chose to visit the Bastei and Kuhstall on our day trip but there is so much more to see and do in the Saxon Switzerland National Park. 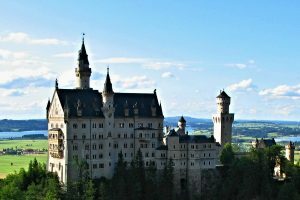 Check out the tourism website here to learn more about this beautiful part of Germany. 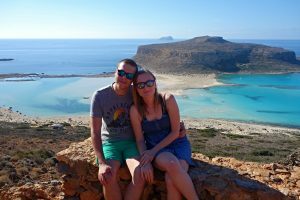 If you want to explore more interesting places in the area, you will need to extend your stay because it’s not possible to see it all just in one day. We are planning to visit the Fortress of Koenigstein, which is one of the largest hilltop fortifications in Europe, and some of the local castles on our next visit. It’s more convenient to explore the region by car than by public transportation – it will take you less time to get from one place to another. Allow at least two hours for exploring the Bastei and the same amount of time for the Kuhstall. There are many trails in the surroundings so you could easily spend a day in each of these places. 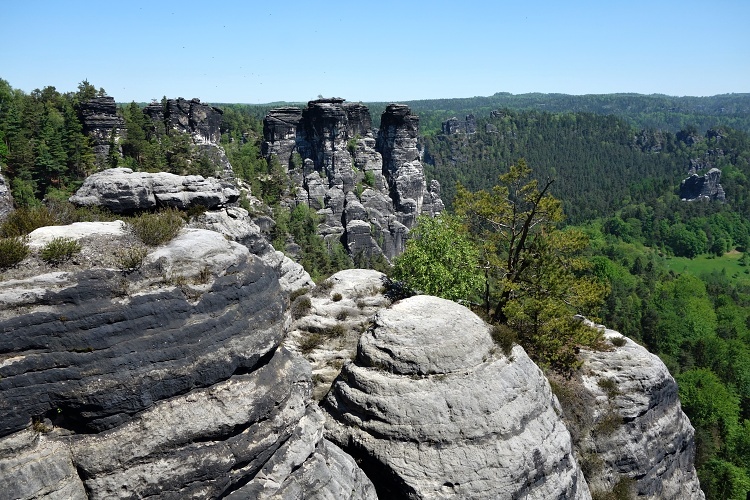 If you enjoy hiking, climbing, cycling, or you are a nature lover, don’t miss Saxon Switzerland National Park on your next trip to Germany.